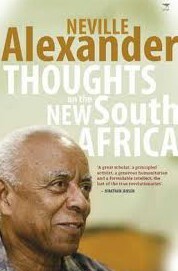 Home » Posts tagged "Neville Alexander"
Unavenged histories return in Alexander’s critique of post-apartheid South Africa. He inaugurates this, his last collection of essays, with the remark that there has been a “virtual blocking of all channels of memory that do not […] relate to the historic activities of the Congress movement,” and from here attempts a retrieval of the repressed memories that haunt the national consciousness. In short, the ambition is to reveal the lurking continuities between the system of apartheid and the present, and to this he summons the analytic complex of language, race, power and class – that last, among the most occlusive categories of political inquiry. Alexander is to be commended from the outset for the sense of unity he brings to his materials: reflexive and critical, his writing is still edged with optimism among the “palpable signs of social breakdown”, and he does direct himself toward a common enemy – even if it is the consuming catch-all of “neoliberalism”, the black hole of leftist aggression. It is a thing, which – in a country that quarantines its social failings until the point of irruption – needs to be spoken about more. The volume divides itself historically across the chasm of 1994, searching for the links and ruptures across the two periods, and then opening up inquiries into race, affirmative action, “afrophobia” and other fraught socio-cultural issues. 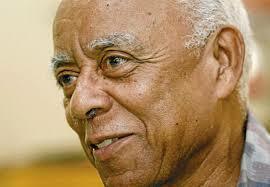 South Africa finds itself enmeshed in its unchanged history. Alexander writes of “no revolution”, only a “regime change”. He identifies the monstrous enormity of “neoliberalism”, and critiques the “fraudulent doctrine of individual enrichment”, the corruption of an ascendant political elite. Such ideas find a productive tension with dominant right-wing thoughts. In The Origins of Political Order, Francis Fukuyama adopts the term “getting to Denmark”, as a metaphor for how the rest of the world, by moderating and strengthening its institutions, can become as wealthy and stable as Denmark. This is pure fantasy, misrecognising the connective tissue which runs from one prosperity to another crisis; an entanglement of complicities. Indeed, Alexander writes that such stabilities as are enjoyed by European countries, are the product of “super-dividends that have accrued from colonialism, slavery and centuries of exploitation.” He himself takes the radical position that structural and global imbalances preclude such utopian possibilities. He speaks of “the continuing scissors-effect of the abysmal gap between rich and poor”, and says that South Africa is “facing one of its deepest crises”. Alexander’s register is sociological, gesturing toward the academy, but resisting its complicated-ness in favour of more general, impressionistic arguments. It is disillusioned, yet hopeful writing, but one which conducts itself in a stately, elegant manner, sometimes dispassionate or regimented. It does not have the conversational tone of some recent volumes by public commentators, but certainly offers a greater level of sophistication. In the later stages of the work, having diagnosed the “barbarism of real capitalism”, having charted the uneven and textured processes of resistance – in which, Alexander is quick to inform us, the ANC was only one player among others – attentions are turned to the materials of public debate. Alexander offers a robust critique of Black Economic Empowerment (“deepens inherited class inequalities”), and the “myth of an exploding black middle-class”.